While the holiday season is a time full of joy for many, it often comes accompanied with stress and more hectic schedules than ever. Do yourself a favor and come get thoroughly pampered at Zoëtry Wellness Spas & Resorts. Let the sounds of ocean waves wash away those holiday headaches as you experience a range of luxurious treatments in our world-class spas. At Zoëtry Paraiso de la Bonita Riviera Maya, visit our oceanfront Thalasso Center & Spa, the first certified Thalassotherapy spa in North America. Thalassotherapy cleanses and invigorates your body through the use of freshly heated seawater, seaweed and marine mud that infuse the skin with minerals and nutrients and help eliminate toxins. Guests may experience Thalassotherapy through a variety of methods, including a heated sea water pool with mineral-medicinal effects and jets that stimulate the circulatory system, hydro massages that provide muscular relaxation with micro-algae and essential oils and algae and marine muds applied through body wraps and facial treatments that tone, hydrate and nurture tissue. Guests will be treated to a complimentary Thalasso Seawater Treatment as part of your benefits of Endless Privileges®. 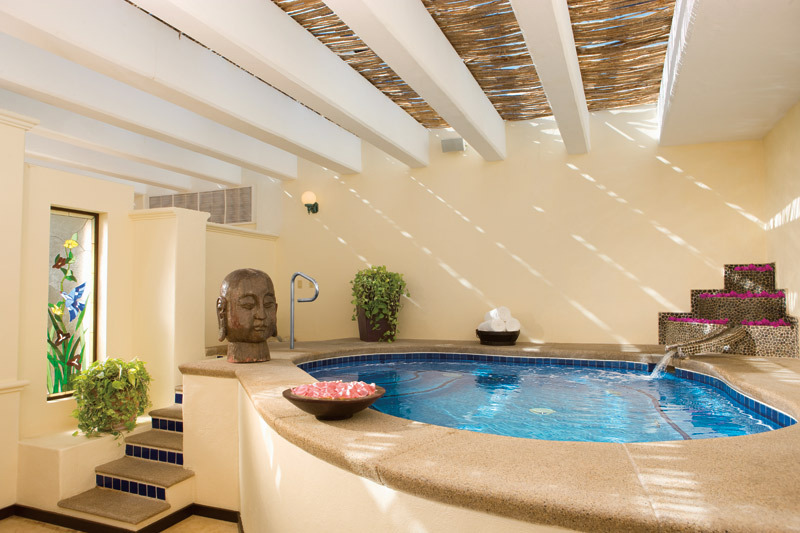 Restore your body to a state of harmony through Zoëtry Paraiso de la Bonita’s Thalasso Center & Spa’s indoor Jacuzzi Spa. 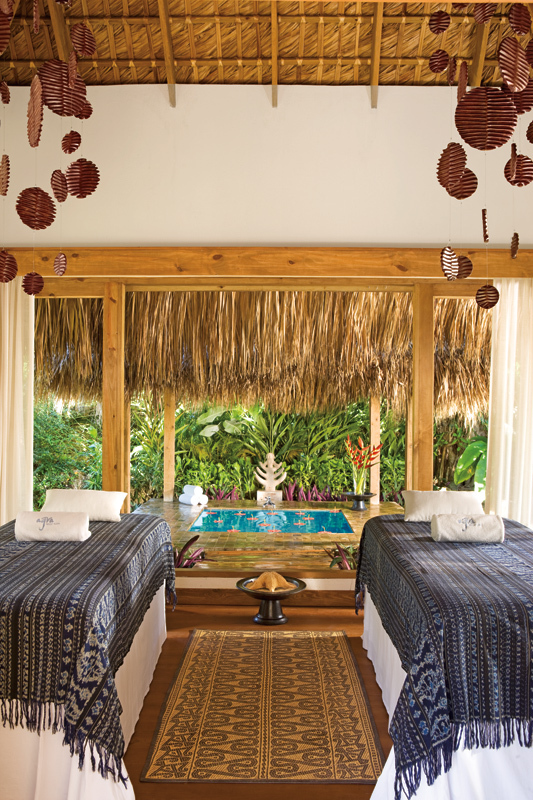 Guests at Zoëtry Agua Punta Cana have the privilege of enjoying spa treatments designed to unlock hidden tension, rejuvenate your skin and circulation and invigorate your senses and spirit. Pamper yourself with a Bamboo Scrub, Honey Exfoliation, Revitalizing Algae Detox, Dead Sea Mud and Diamond Magnetic treatments. If you spent a little too long on the beach, our Sun Repair treatments moisturize, hydrate, regenerate and soothe the skin after sun exposure. An open-air treatment cabin provides couples with a tranquil and rejuvenating spa experience. There are many massage options at Zoëtry Casa del Mar los Cabos. Those looking to soothe tension and relieve stress while stimulating blood circulation and improving muscle tone should go for a Swedish Massage, designed to provide maximum relaxation. For a more intense treatment, Deep Tissue massage relieves chronic muscle tension due to stress or sports activities while eliminating toxins and restoring flexibility. Other massage treatments include massage for the neck, shoulders and back, massage designed for golfers and mothers-to-be, couples, reflexology and hot stone massage. 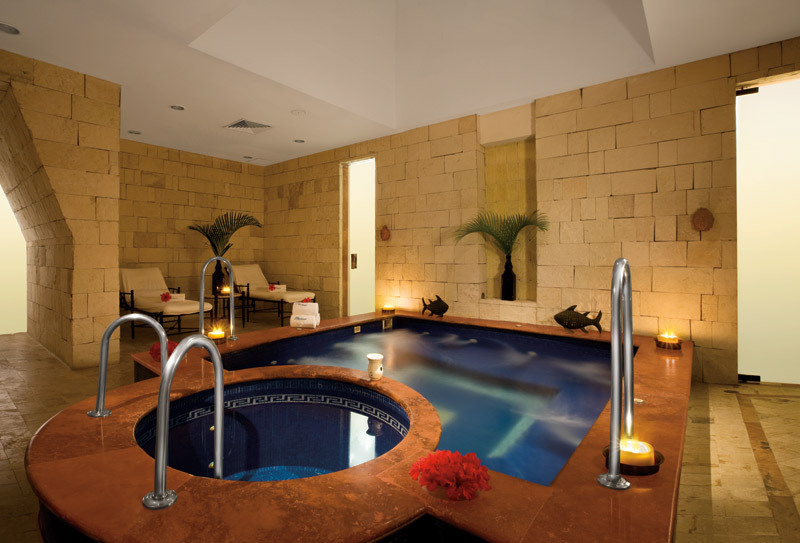 A Jacuzzi at the spa offers guests a tranquil and relaxing spa experience. A trip to any of our Zoëtry Wellness Spas & Resorts is sure to leave you refreshed and rejuvenated in body, mind and spirit. Book your stay with us today—you deserve it! Have you entered our Pin It to Win It Pinterest Contest? Enter today for your chance to win a 3-night stay to enjoy all the Simple Pleasures! This entry was posted in Zoëtry Agua Punta Cana, Zoëtry Casa del Mar, Zoëtry Paraiso de la Bonita and tagged amenities, Spa Spotlight, spa treatments, Zoëtry Wellness & Spa Resorts. Bookmark the permalink.